Paul the Jew As Founder of Christianity? In Paul’s thinking, instead of humanity divided as “Israel and the nations” which is the classic understanding of Judaism, we have “Israel “after the flesh” (i.e., the Jewish people), non-Jews whom he calls “the nations,” (i.e., Gentiles) and a new people called “the church of God” made of all those whom he designates as “in Christ” (1 Corinthians 10:32). The notion that Christianity depends on “grace” and Judaism on “works” is a terribly unfortunate misunderstanding of Judaism. What divides Paul from Judaism is his insistence that God’s justifying forgiveness is only extended to those who accept his Christ faith. One thing historians of religions often emphasize is that no religious tradition is a static monolithic entity. Whether we are talking about Hinduism, Buddhism, Christianity, or Islam, the varieties and diversity within each tradition are rich and complex. Judaism is no exception. In the time of Jesus, which historians often refer to as the “late 2nd Temple period” we find within the varieties of emergent Judaism multiple interpretations of almost every subject imaginable–the nature of God, the coming of the Messiah, free will and determinism, and explanations for the causes of sin, suffering, and evil. At the center of it all was the practical matter of how one is to observe and follow the Torah, or what was believed to have been the revelation of God to the people of Israel through Moses at Mt. Sinai. One of the things we most emphasize in courses on the “Judaisms” of this period is this matter of diversity as we see it reflected in the so-called Pseudepigrapha literature, the Dead Sea Scrolls, Philo, the Mishnah, and other rabbinic writings. For a general overview of Judaism/s of this period I would recommend a few basic books: Shaye Cohen, From the Maccabees to the Mishnah James Vanderkam, An Introduction to Early Judaism Seth Schwartz, Imperialism and Jewish Society: 200 B.C.E. to 640 C.E And most recently, Daniel Boyarin, The Jewish Gospels: The Story of the Jewish Christ, which questions whether even the adoration and heavenly status that Jesus’ first followers gave to him as heavenly “Lord and Christ” was particularly “un-Jewish.” I maintain that Jesus was and remained a Jew and never entertained the establishment of a new religion. In contrast, it was Paul who might actually be called the “founder” of Christianity, with its distinctive theological doctrines. Even though Jews disagreed on how one might reflect and live out all the teachings and commandments of the Sinai revelation, especially regarding what came to be called halacha (literally “the way” or “the walk”), that is how to fulfill the various commandments, in general religious Jews, who took seriously the revelation of Torah, agreed on the obvious point that Israelites of all persuasions were obligated to live according to the commandments in order to be faithful to the Covenant. Historians and scholars seem to be in almost universal agreement that what is called “the Jesus movement,” as represented by the teachings of John the Baptist and Jesus of Nazareth, was a movement within the various Judaism/s of its time and is most properly understood in this way, rather than as a “new” religion, separate from the mother faith. Likewise, I think there is general agreement, as far as I am aware, that James the brother of Jesus, leader of the Jesus movement after Jesus’ death, remained an observant Jew himself, based on all our early sources. I offer an overview of the important historical place of James in my book The Jesus Dynasty (chapters 15-17). The basic historical documents are masterfully surveyed here. I also want to note that Robert Eisenman has just issued in both print and e-book format new “reader” editions of his masterful study, James the Brother of Jesus, which I highly recommend. To be “observant” in this broader context does not so much imply a uniform “orthodoxy” such as later developed within Rabbinic Judaism, but that whatever one’s halachic view, one remained “in the camp” in terms of covenantal identity with the Jewish people and a concerted attempt to embody the teaching and commandments of the Sinai revelation. Judaism, as it developed, was understood as a religion, a people, and a culture, so matters of “definition” could be quite complex, i.e., you could have one who was born as a Jew, spurning the religion, or living immorally, or even turning to another faith, and yet, technically, remaining “Jewish.” In the same way non-Jews might take up Jewish customs and observances and still, nonetheless, not be considered “Jews” in a formal sense. E. P. Sanders, in his book Paul, the Law, and the Jewish People, is one of the best summaries of this entire matter. He exhaustively explores the various “Judaisms” of the period, showing ways in which they differed, but also what gave them their essential identity, something he terms “covenantal nomism.” Non-Jews, in most of these forms of emerging Judaism, were not expected to “convert” to Judaism in order to have a spiritual relationship with God. They could function within the more universal “Noahite” covenant, and the existence of the “righteous Gentiles” or the “God-fearers” has been extensively documented during the late Roman empire, particularly by my teacher Louis Feldman’s in his Jew and Gentile in the Roman World. One way of putting this was the adage “The righteous of all the nations will have a place in the world to come.” Jesus appears to share this openness to the non-Jew and the messianic vision of the Prophets that all nations would learn to walk in the light of the Torah’s essential ethical teachings. Paul redefined the people of Israel, those he calls the “true Israel” and the “true circumcision” as those who had faith in the heavenly Christ, thus excluding those he called “Israel after the flesh” from his new covenant (Galatians 6:16; Philippians 3:3). He also held the view that the Torah given to Moses was valid “until Christ came,” so that even Jews are no longer “under the Torah,” nor obligated to follow the commandments or mitzvot as given to Moses (Galatians 3-4). They now have a new “Torah of Christ” that replaces the old Sinai covenant mediated by Moses with a new “Torah of Christ” (2 Corinthians 3; 1 Corinthians 9:19-21; Galatians 6:2). Most historians have agreed that we are not merely dealing with a movement “within Judaism,” but the makings of a “new religion” that comes to be called Christianity. This is not to deny Paul’s “Jewishness,” in the cultural sense of that term. He surely believes in the God of Israel, Jesus as the Messiah of Israel, and the Torah and Prophets as Scripture. This does not mean that Paul advocated immoral living, he surely did not. In all his letters he takes pains to enforce and reinforce the essential ethics revealed in the Torah as applicable to Gentiles upon his followers. The rub comes for Jews–if it is now okay for a Jew who is “in Christ” and thus part of this new spiritual Israel, to fail to circumcise his or her children, to ignore observance of the Sabbath and the festivals, to eat anything set before them, and to generally “live as a Gentile” in terms of observing such marks of Torah observance then Paul’s position takes him outside of “Judaism” or observant Torah faith. Such a view implicitly leads to the abolition/replacement of the mother faith. It was upon that basis that the entire super-sessionist/replacement idea that became so current in Christianity developed. Paul takes the position in Romans 9 that any Jew who does not share his faith in Christ is “lost” and cut off from God, no matter what might be his or her spiritual devotion, Torah observance, or even reliance upon the grace of God. In recent times Lloyd Gaston, John Gager, and Krister Stendahl have argued that Paul’s “abolition of the Torah” was only directed to those in the Jesus movement who sought to force Gentiles to convert to Judaism. I am convinced that they are wrong. The late Alan Segal, in his important study, Paul the Covert: Apostle or Apostate, successfully demonstrates that Paul’s message does indeed represent a departure from any standard from of what might properly be called “Judaism.” Boyarin and others are certainly correct to question whether there was a “religion” called “Judaism” in this period, prior to “Christianity” over against which it came to be defined, but certainly one can speak of Jews and the Jewish people on a sociological level, which includes aspects of Jewish cultural identity and observance of Jewish customs associated with the Torah. Then there is the more “theological” the matter of “justification by faith.” Judaism in all its forms has taught that all humans are sinners and can only be accepted in God’s eyes through repentance and faith. Psalm 51 would be the most classic expression of this, the Thanksgiving Hymns in the Dead Sea Scrolls reflect the same for the Qumran community, as strict was they were in their legal interpretations, and Rabbinic literature reflects the same. As a Jew Jesus expressed these very ideas when he speaks of the two men praying in the Temple, one of them a “sinner” who smites his breast and turns to God, and is thereby “justified,” and the other self-righteousness, thinking he had no need of justification (Luke 18:9-14). E.P. Sanders’ study on Paul make it clear that the notion that Christianity depends on “grace” and Judaism on “works” is a terribly unfortunate misunderstanding of Judaism. What divides Paul from Judaism is his insistence that this grace bringing justification is only extended to those who accept his Christ faith. With these three elements based on Paul’s perceptions and heavenly visions: a new definition of Israel, the abrogation of the Sinai covenant, and the restriction of God’s grace to those who “accept Christ as savior,” we truly have a “new religion” and by no theological, cultural, or historical definition could it properly be called “Judaism.” And certainly Christians until our more recent ecumenical times would say “and rightly so!” Historic Christianity of all stripes and descriptions has embraced its replacement theology with pride and a head held high. Paul is truly the hero of this way of thinking and only in recent times have scholars tried to “redeem” him from his own words in an effort to make him more politically correct vis-a-vis notions of ecumenism and tolerance. Countless books have been written in the past hundred years arguing that Paul is the “founder” of Christianity, sharply distinguishing him from Jesus. Joseph Klausner’s, From Jesus to Paul is one of the first and is still worth a close study, but many others come to mind, Albert Schweitzer, The Mysticism of the Paul the Apostle, Gerd Lüdemann, Paul the Founder of Christianity, Hugh Schonfield, Those Incredible Christians, and Barrie Wilson, How Jesus Became Christian, to name a few. 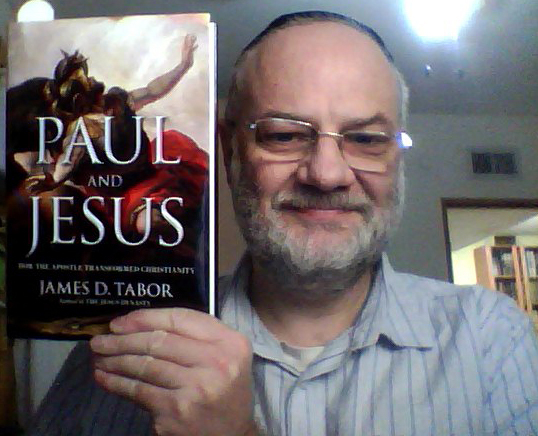 My own new book, Paul and Jesus: How the Apostle Transformed Christianity explores these and many related questions. Most important, I see to place Paul in the broader spectrum of the religions of the ancient Mediterranean world as systems of divinization against the background of a dualistic Hellenistic cosmology. Where in the covenant of the law do we see God’s law put in the “inward parts” and written on the hearts, and enabling them to become the direct creations or children (bene Elohim/ huios theos ) of God? We don’t. Where we see that accomplished is in the New(er) Testament. Paul is describing that change. It is profoundly true that Jesus did not bring a new religion, he brought a new and direct, one on one, relationship with a loving Father. Thus giving the “old” Religion a new and clear meaning. Perhaps the thoughtful Christian or messianic may possibly wish to consider how quickly even Paul himself has rejected the definitive content of these New Testament declarations of Jesus? Perhaps the thoughtful Christian or messianic may possibly wish to consider the extent to which their text has been redacted and corrupted? Perhaps thoughtful Christians or messianics may possibly consider the Jesus who was stripped and still is stripped of his most basic identity as a Jew who affirmed the oneness of G-d and who upheld the commandments of the Torah as the way to eternal life? Also, from my own investigation of all the evidence the 2nd Testament is as trustworthy as the Tanakh. I have dealt with many who claim that “redactors” changed it to make it Jewish. I see “redactors” that try to tell me that the Church has replaced Israel. But I doubt we see the same “redactors” at work. King David, a man God described, “David son of Jesse, a man after my own heart” committed murder and adultery breaking these laws that YHVH and Jesus stated. Where did David get the mercy or grace to be forgiven? From an animal sacrifice? No, but from confessing his sins to God and from trusting Him for forgiveness. Right? He believed God and it was accounted to him as righteousness. Or are you saying that true believing Jews do not sin, and consequently do not have to deal with that issue? I suppose I am saying that as Paul has only identified the source of grace as the Lamb of God who takes away the sins of the world, so I see nothing in Paul’s writing that is contrary to the words of Jesus. The Hebraic thinking of Jesus and of the all the writers of the 2nd Testament (the new covenant) is apparent even through the Greek to English translation. The testimony of an empty tomb is the seal of God’s approval on the 2nd Testament. All of Jesus’ disciples went to their deaths needlessly if this tomb was not empty, for they all knew the truth. It was not a matter of faith but a mater of fact. If the tomb was empty they died knowing they were living and dying for a lie. See how Paul is saying that its the redeemer who turns ungodliness from Jacob, whereas Isaiah says that the redeemer comes to people who have themselves turned from transgression in Jacob. A feature of Paul’s theology and the redacted portions of the latterly redacted gospels [no doubt borrowing from the earlier writings of Paul] which establishes the NT version of the ‘new covenant’ is the notion of universal vicarious human atonement for sin “the lamb of god who takes away the sins of the world”. The earliest expression of a vicarious substitution for universal sin ONLY occurs within New Testament[Romans 5:18; John 1:29 and 1 John 2:2.] and not within the Hebrew Bible. In contrast the Hebrew bible clearly shows an individual’s responsibility for their own sins [see Gen 4:7, Ezekiel 18] and their own mastery over them! In contradistinction, the actions and thoughts behind the actions of the Israelites with respect to (but not only) slaying of the Passover lamb, where saving actions and thoughts by virtue of the Israelites choosing the G-d of Israel over the lamb god of the Egyptians! The Passover Lamb was a sacrifice to show ones’ allegiance to the G-d of Israel and NOT a sin offering! Obedience to the word of G-d is more valuable to G-d than sacrifice [1 Sam 15:22, Jer 7:23 & Amos 5:25]. And where one does need to bring a sacrifice for sin as commanded in the Torah, a primary prerequisite is teshuva or in the not so accurate English term repentance. Judaism considers the prerequisite teshuva or repentance to achieve atonement and not the idea of a penal human substitutionary atonement which the Jewish scriptures clearly teach against [Ezekiel 20:20, 21, Deut 12:31]. Without teshuva any sacrifice for sin is worthless otherwise! With the prerequisites of teshuva in place and obedience to the word of G-d being preferable than sacrifice, the sacrificial sacrifice aspect of Torah is placed in its proper context. Without the sacrificial sacrifice aspect of Torah in its proper context, Christianity makes sacrifice for atonement alone the sole basis of its religion without any reference to a personal effort to get closer to G-d. However, with Passover we are talking about something altogether different. Passover is a sacrifice of allegiance not a sacrifice of atonement. Given a wider understanding of what sacrifice achieves and what it does not, one may already conclude in the case of Passover, that the Passover sacrifice draws us closer to G-d and each other by virtue of eating the sacrifice. Here also in the Passover sacrifice a vehicle is provided to express mans’ desire to forsake idols, enslavement and choose G-d exclusively. Understanding the context of sacrifices and the wider understanding of what sacrifice achieves and what it does not helps us to understand the dangers of other non-Israelite and/ or Christian ideas, with respect to sacrifices. A danger being that of idolatry by worship of created things instead of the creator by making the sacrifice and ‘the blood’ the sole object of worship. The Jewish scriptures clearly teach against the idea of a substitutionary atonement and instead, stress the importance of an individual’s and a nation’s responsibility for sin and taking appropriate action. The major foundational component of atonement that is missing from Christianity is how Teshuvah (repentance) is initiated at least by the death and/ or suffering of someone else or even a nation. Suffering of someone else or a nation to initiate Teshuvah is never vicarious or substitutionary, however! Teshuvah of the Kings of nations, as with case of Isaiah 52 for example, is elicited by virtue of the Kings witnessing the death and/ or suffering of the servant nation Israel. Therefore, in God’s plan, Israel’s sufferings have been to the benefit of the other nations at least in part to an acknowledgment by the nations that Israel has been the true servant of God all along! Animal sacrifice has always been permitted and post Sinai only under extremely limited and controlled circumstances as to time, place and intention as detailed by the Torah. Certain sacrifices are brought purely for the purpose of communing with God and becoming closer to Him. Others are brought for the purpose of expressing thanks, love, or gratitude to God. Others are used to cleanse a person of ritual impurity (which does not necessarily have anything to do with sin). And yes, some sacrifices are brought for purposes of atonement. The messianic era does have sacrifices if Jer 33:15-18 is considered. So what about human sacrifice? Isaiah 66 is talking primarily about sacrifices without repentance and chapter 66 resonates with the opening chapter 1 of Isaiah. Without proper and sincere repentance it is as if one has killed a man, offered swine’s blood and blesses an idol (see Isaiah 66:3 above) all of which have always have been and always will be unacceptable at any time or place! Their is no hint or the slightest suggestion in the Hebrew scriptures that the new covenant is predicated on a divine/ human vicarious substitutionary sacrifice. Thank you for discussing this with me. I appreciate your tough but respectful arguments. Concerning your last paragraph, a divine/ human vicarious substitution sacrifice. Are you saying that mere repentance is enough by itself to get forgiveness? Can there be true repentance without faith in the God as your savior? Especially if He has presented Himself to you as Messiah, the Passover Lamb whose blood saves from spiritual death, and who brings in the new covenant promised by Jeremiah, and has been rejected? By saying a vicarious sacrifice is not necessary because we are all responsible for our own sin, you clearly and entirely miss the point. Jesus as the Lamb was not responsible for our sin, he paid the price for it. He being the only God/human is the only one who has the credentials, the lineage, and the ability to take away sin and rule on King David’s throne. He was the perfect, spotless Lamb who entered Jerusalem on, or just before the 10th of Nisan and was crucified on the 14th just as the prophetic foreshadowing described in Exodus 12 indicated. Was this not also acted out by Abraham and Isaac on the same mountain on which Messiah was crucified a couple thousand years later? God shall provide Himself a sacrifice. You keep emphasizing Jewish Scriptures as opposed to the “redacted” Christian Scriptures. I have yet to see a difference worth arguing about. I’m sure you know that the LXX predates the Masoretic, and was used by the early Jewish followers of The WAY that later became 2.3 billion followers of Jesus and called Christians – most of whom have clearly forgotten their very Jewish roots, sadly. The Masoretic text that is has been used in the Christian Bible of the modern era was not finished until about 800 AD. So I’m confused as to why do you have to have those Christians who follow someone who claimed to be the WAY the TRUTH and the LIFE be liars and imagine that they redact scripture to make their points? It seems to be enough room for honest people to disagree, just not enough room for both to be correct. Even when you quote St. Paul’s “redaction” above you fail to take into account a few different considerations. First he was as dedicated to truth as anyone ever was. He died at the at the hands of the Nero government and all he had to do was deny Jesus to be Lord. St. Paul’s scripture had no chapter or verse references. When he wrote “it is written” he was combining the thinking of a few different complimentary passages. If he had used footnotes he could have listed a few different verses. I don’t know when footnotes or their equivalent were invented. Mostly people just quoted a partial verse to remind people of the entire passage. This is what Paul was doing.